News | Moviemem Original Movie Posters - 3 DAYS OF THE CONDOR Daybill Movie poster - Original or Reissue? A two colour daybill for Three Days of the Condor has appeared fairly regularly over the years and has been commonly thought to be the original first release Australian daybill. However, a much rarer black and white daybill was also printed for the film which I think is also likely to be the first release. The design is very similar to the original US posters and the printer is clearly shown as M.A.P.S on the bottom border. The tagline on the black and white daybill is consistent with the original US posters. Censor details on both posters don't help identify a date as both show the "M" rating which was correct for the period of release. In both cases, the distributor is listed as Roadshow. Note that the daybill on the left has no printers details. The fact that one daybill might be more impressive than the other doesnt always mean that the more colorful version came first. 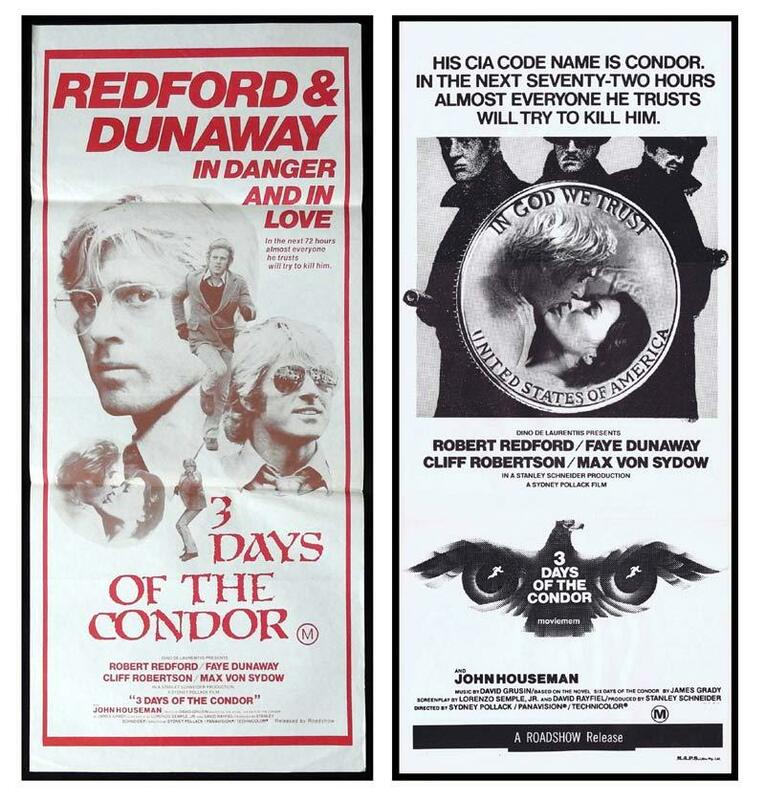 If you were looking to add an original daybill for 3 Days of the Condor to your collection, which one would you prefer?